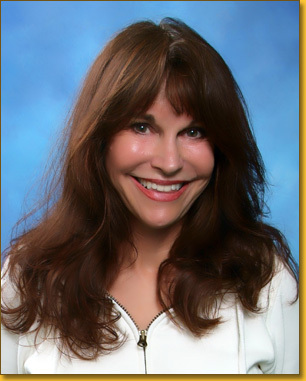 Christine earned her Masters degree in Education at California State Polytechnic University. She pursued her love of teaching and obtained two life credentials from the same university. She was drawn into counseling and teaching at-risk teens, and spent twenty-five years working in alternative education programs. Her real love has always been her spiritual pursuits. As a teenager, she had a deep experience with God. As a result, she devoted the rest of her life learning how to deepen her connection to the Divine. Her interest in the power of our mind, and its unlimited potential to blend with the “mind of God” led her to study teachings about faith, the law of attraction, teachings of Jesus, teachings of Christian mystics, autobiographies of saints, accounts of NDE (Near Death Experiences), as well as scritptures. She began teaching in small groups in the 1980’s, sharing her knowledge and assisting other seekers to experience God directly through techniques that she had been taught by the Holy Spirit. She felt led to expand this area of service through recording CD’s and distributing them to her students. In 1996, she was certified as a Transpersonal Clinical Hypnotherapist and NLP Practitioner. This branch of hypnotherapy utilizes the consciousness “above” the conscious and subconscious mind, commonly known as the “superconscious” to help the client solve problems and access wisdom. The emphasis is on connecting with the source of all-knowing and all-power that is within every person. In 2003, she was trained as an EFT (Emotional Freedom Technique) practitioner. She found it was a natural enhancement to her counseling services, and used it to help her clients speedily clear emotional blocks. A few years later she studied Quantum Touch Healing, Reconnective healing, Gratitude Therapy, and a form of Axiatonal alignment called The Reconnection (www.TheReconnection.com) adding to her techniques offered to her clients. She developed a Life Enhancement Coaching Service, incorporating Spiritual Integration System, a program that blends the spirit with the body and mind. In addition to offering coaching and hypnotherapy sessions in Medford, Oregon. She has written her first book on the power of gratitude to change ones life. See the link for: Two Words that Change Everything, The Transforming power of Gratitude.